It’s finally here…The Homemade Delish cookbook. “Create It, Plate It, Style It, Eat It, Love It,” is something small and sweet to start out with. This was a last-minute project that was presented to me and we (the Homemade Delish team) made it happen. It took long nights and serious editing but it’s here. 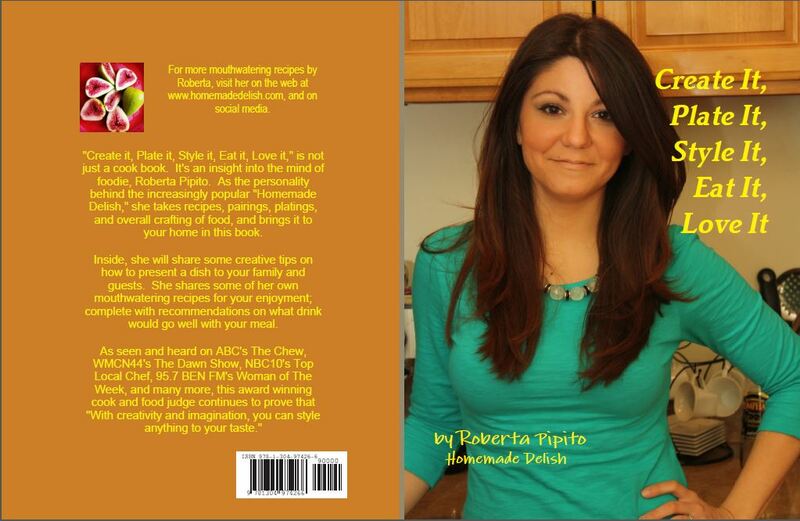 I find it hard to believe that I have my own cookbook, and this is just the beginning. I hope you enjoy. I will have a post with all the upcoming events, demos and book signings Homemade Delish will be a part of. Below please find where you can purchase the book. It will soon be available on Amazon and Barnes and Noble. Thanks again for all the love and support all of you have given Homemade Delish.